To Feline Rescue, spring is also known as kitten season! With so many kittens in foster care (or expected to be in foster care), they need a little help. Kittens need blankets, beds, toys, formula and food. 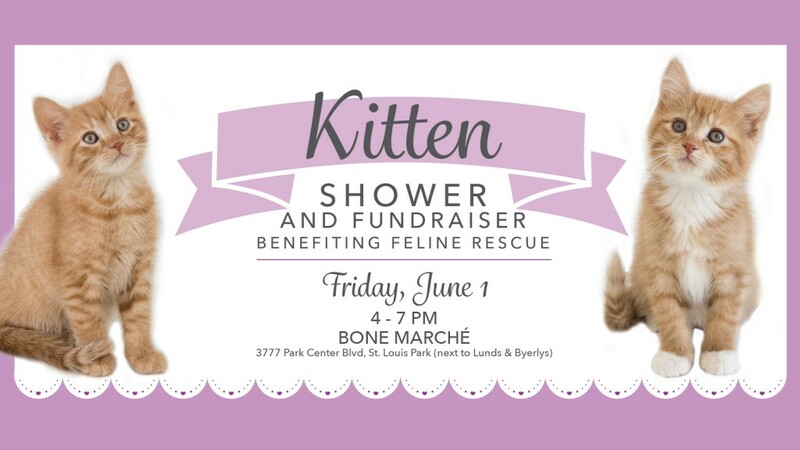 To help these new mothers and mothers-to-be, Bone Marché is throwing a Kitten Shower to benefit Feline Rescue! Enter for a chance to win one of our fabulous door prizes. Door prizes can be claimed at Bone Marché after the event. No shower is complete without silly games and treats. You can also meet some of the kittens your donation will support as there will be an abundance of cute, fluffy, cuddly kittens. 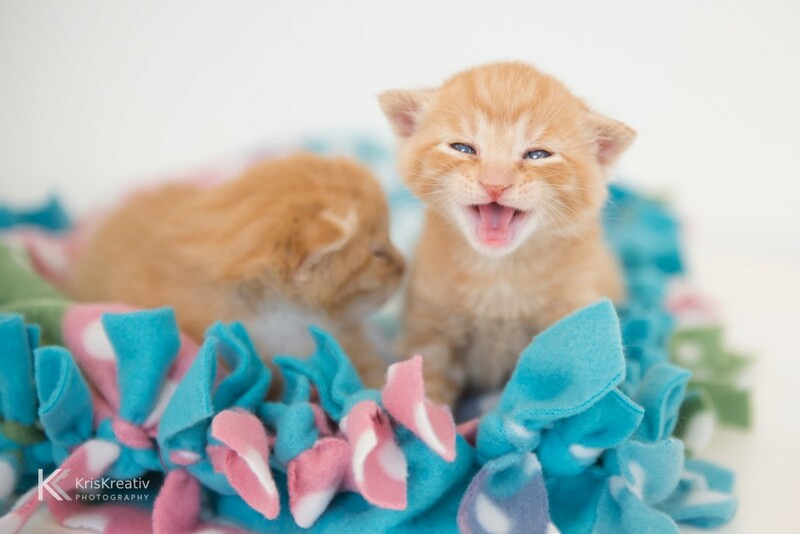 Help raise funds to care for oodles of kittens 4-7 pm Friday, June 1 at Bone Marché! Donations are appreciated and accepted from May 21-June 1 at Bone Marché or donate online. Can’t make it to the event? You can still donate! Donations are being accepted at Bone Marché from May 21-June 1. Or make an online donation and add “Kitten Shower” in the comments.